POWERED BY: Twin V6 Mercruiser freshwater cooled 4.3L EFI @ approx. 220 hp each with fuel injection and bravo sterndrives. 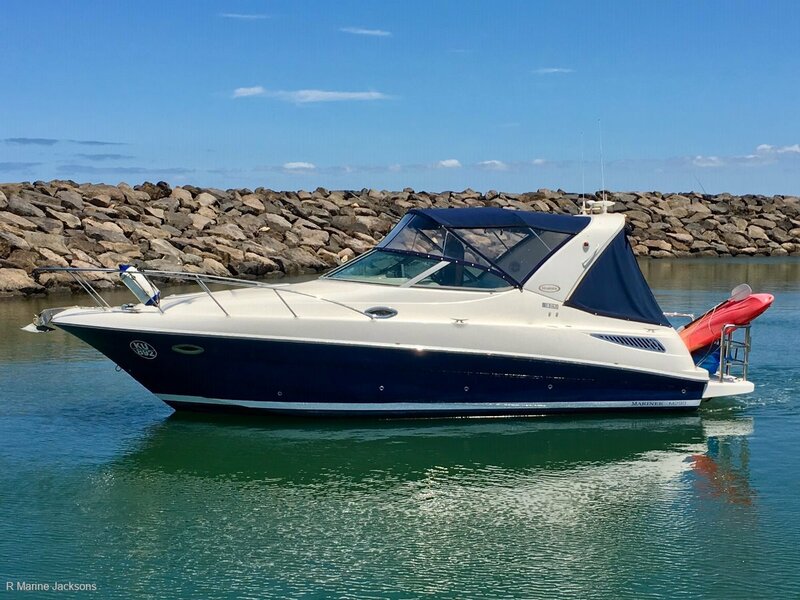 *We invite you to call us for an appointment on this lovely Riviera M290 as any inspection will not disappoint. It has been well maintained and serviced as well; and we have access to receipts if necessary for service history. The Riviera m290 is great entry level cruisers that have a transverse bed tucked back under the lower saloon stars for two separate sleeping areas. The boat also combines a universal lower living area that includes: dinette, head galley and sleeping areas whilst the upper cockpit is plentiful.